Invest In Your Family Now! You want direction for your family. You want purpose for your family. You are building this family and yet are continually bombarded by competing messages which are creating distractions and anxiety. It’s time to do something different…to set a thrilling vision, and then to write it down so that your family can read it, own it, and begin to run towards it! 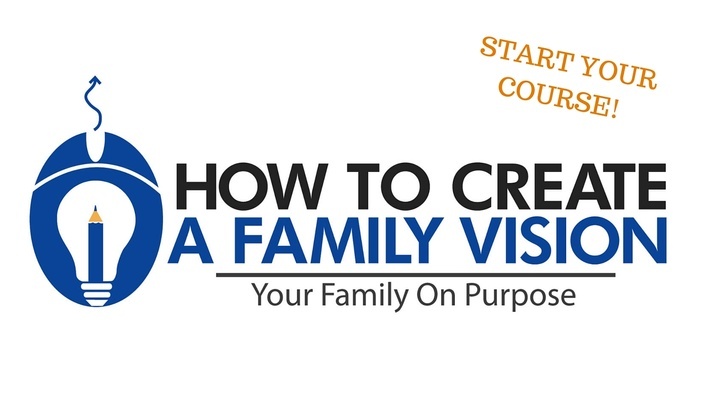 In the “How To Create A Family Vision Course”, Scott will walk you step by step through a simple process of how to create a vision for your family and bring purpose to each day. Give your family this legacy, this gift, that will provide for them a sense of stability and purpose! Vision without action is said to be hallucination…so let’s get started! I am the proprietor of My Business On Purpose; a multi-broadcast platform that equips, inspires, and mobilizes business professionals to live out their skill set to society as an agent of God’s grace. I am a strategist, teacher, and business coach. I help small business owners and organizational decision makers uncover things that they cannot see, and create game-changing strategies so they can take immediate action and live out their life and business with purpose and intentionality. The various broadcast mediums that will be available in 2015 to the Business On Purpose community are a once weekly interview-based podcast (The Business On Purpose Podcast with Scott Beebe), a blog posted multiple times weekly, daily social media posts, and a variety of other products and offerings to be provided as this community grows. After years of researching and working to see how the glory of God is uniquely distributed through business, the Business On Purpose platform is designed for you, the skilled business professional, to be equipped, inspired, and mobilized to having your soul-satisfied as you spend your “Mondays through Saturdays” laboring away at your unique skill, and thus applauding God with every business activity you engage in. As of this writing, many podcasts and blog entries have already been written and will be distributed over time. To make sure you don’t miss my newest posts, you can subscribe via RSS. If you are a business professional who wants to live out God’s purpose through your business, then the Business On Purpose community is the right fit for you…welcome to your new tribe! My vocational blueprint began to start being drawn outside the lines growing up circling the Continental U.S. being born in the Nation’s Capital, then living in Charlotte, Houston, Portland, Greenville, and finally graduating from the University of South Carolina in 1997. While at USC, even though a below average High School athlete, I had the opportunity to walk-on to the Gamecock football team, and work myself up to a full scholarship in my first exploitation of a “niche market”. Many boys growing up can kick, throw, and catch a football, but only a few can throw a football upside down, between their legs, with 300 lb. linemen staring them down. That’s right, I was a deep snapper at USC. It is the one position you never hear about…until you mess up. 1. Ft. Worth, TX – Attended and graduated from Southwestern Theological Seminary, along with my first Sales role for Practitioner’s Publishing Company (now Thomson Reuters). Diversity in locations and roles has provided me a unique seat from which to view businesses, Churches, and cultures literally around the world. Previously, as the International Administrator for HELP, Inc. it was my privilege to work with multi-cultural teams both in the U.S., and in Nigeria, to make disciples through sustainable partnerships within six domains of SW Nigeria. My background in these roles includes direct and B2B sales, designing and implementing organizational strategy, training and development, marketing and fundraising, along with teaching and speaking. I read constantly and pursue learning with a great hunger. God’s Word is the basis of my learning, the gateway to my relationship with Jesus Christ, and the value set of my worldview. I love to coach, explore, eat, and drive, and one day will learn to fly! Ashley and I travel whenever possible, and we place a priority of enjoying a variety of experiences with our three children.